I'm a long-form copywriter, content developer and interviewer, based in Melbourne, Australia. ​I write for impact, listen for nuance and craft content that matters. And I love it. I'm also a project manager and a consultant engaged to wrestle publications large and small. You can learn more about my writing approach, clients and projects below or contact me here. I create content that cuts through the noise, helping industry leaders share their expertise for good - across platforms and sectors. Working with me is easy, inspired and structured. I bring energy and insight to every project, helping my clients celebrate their best work through interviews, stories and curated publications. Meet them here. Click images to read a sample. I worked with Caraniche at Work to research and write a comprehensive white paper on the impact of family violence in our workplaces (see testimonial above). 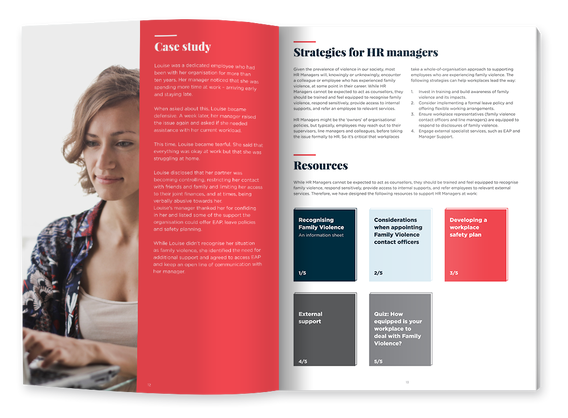 Together we developed a report and practical set of resources for HR managers and organisations to support their employees and each other. This book tackles the social and economic impact of placemaking in Australia. For this publication, I researched, wrote and project managed The Place Economy, interviewing 44 experts around the world, crafting their wisdom into essays, features, case studies, Q&As and photo stories. ​You can find out more here. I help Urbis to produce thought leadership publications that synthesise their multi-disciplinary expertise. With directors in four countries, I'm engaged by the Branding team to ensure printed publications and online content conveys the breadth of Urbis' work as well as the talent within this organisation of city shapers. Producing a 40th year anniversary publication for Mind Australia allowed me to see how a grass roots mental health organisation came to be an Australian leader today. I mined 40 years of board records, reports and publications, interviewing key players, past and present, to get to the heart of this organisation. Each year, I work with Caraniche to produce a range of case studies, feature articles, staff profiles and Q&A pieces for inclusion in the Annual Report. I interview staff and clients to gather a sense of narrative that appeals to a broad audience of clients, staff, donors, supporters and philanthropists. Many of my clients produce their own magazines, newsletters and publications as a vehicle to build a sense of community among their customers. I write feature articles on science, technology, transport, agriculture and education, and often write about innovation as well as profiling subject matter experts. Our inboxes are teeming and our concentration spans compromised online! Yet, key information still needs to get through. Especially in the workplace. I help clients like Mercer and Yarra Valley Water by crafting employee-focused content that cuts through the noise. Writing online stories is the new norm for leading organisations - whether it's content for consumers, clients or staff. All of my clients invest in curating their expertise online. I've written blog content for IT specialists, educational publishers, large organisations like Australia Post and utilities companies. As an interviewer and corporate storyteller, I coached 30+ speakers ahead of the Big Ideas on Place Conference, as part of the annual Vivid Sydney festival. In one-hour sessions, I helped speakers crystalise their presentation goals and wrote a pithy program summary designed to set each speaker apart. ​"The response we received from this report exceeded our expectations. We had a 260% increase in traffic to our site, which tells us that the report resonates with the issues facing HR professionals. Emily is a pleasure to work with – both in terms of her professionalism and her warm personality. We really appreciated her ability to hit the ground running with unfamiliar content. ​I’ve also appreciated her thoughtful advice and ability to come up with clever solutions. ​She produces high quality work and runs her projects very smoothly!" Click image to read report. ​our vision and values so exquisitely." 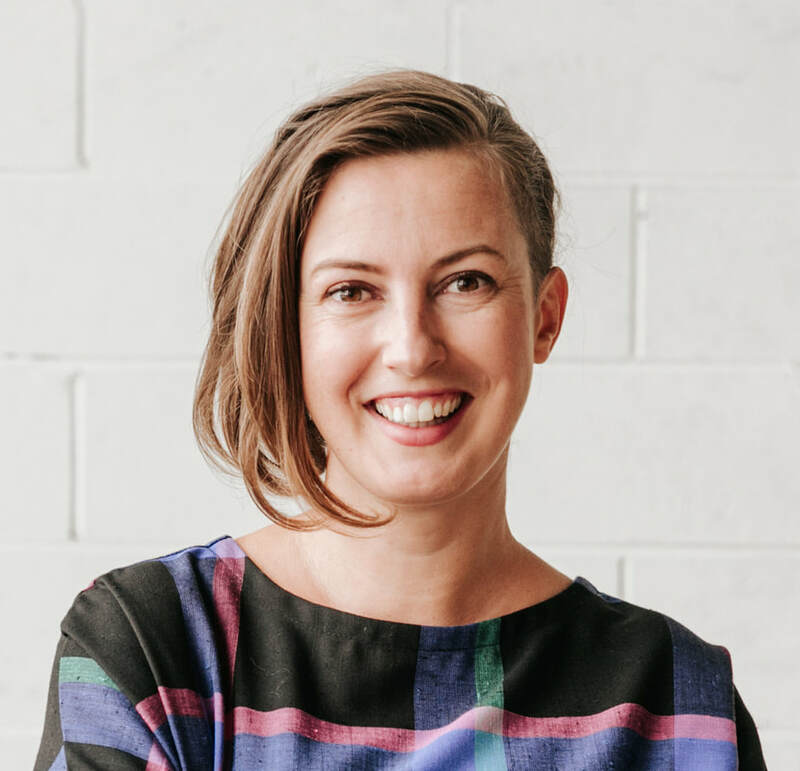 "With multiple offices around Australia, Emily was flexible in tracking down our staff and juggling multiple interview times, as well as supportive and self-assured in her approach. She has the ability to translate insight – across different topics – into copy that compels readers into action. We knew Emily would deliver a publication that conveyed the breadth of our expertise. Emily helped Urbis to capture what we do best." "Emily is an effiicient, adaptable and talented writer - I'd recommend her services in a heart beat! "The Place Economy is the most ambitious publishing project Hoyne has ever undertaken. ​Emily responded enthusiastically and intelligently to our plans and brought a fresh, approachable writing style to the project." "As a story coach, Emily brought a richer level of clarity to our event. She helped to promote the conference to audience goers, while boosting the confidence of our presenters through her strategic and subtle approach to bringing out their best. ​With the conference looming, Emily was swift, inventive and professional, which was precisely what we needed."